I’m going to cut to the chase: your tone of voice or brand voice matters more than the product or service you’re trying to sell. There, I said it. And I’m not sorry. It matters more because once you have a product or service, you need to get it to the eyeballs and into the hands of your ideal customers. You can insert something here about the 80/20 rule or whatever other marketing jargon floats your boat, but the crux of it is this: you need to give your ideal customers or users your special thing in a way that they understand and resonate with. You could have the most amazing logo, schmick looking website and consistent social media-ing… but if all of that doesn’t align with the message you want to get out there, then sorry, friend – your amazing product or service is falling on deaf ears (so to speak). You can tell straight away if a brand has given any thought into this part of their business. 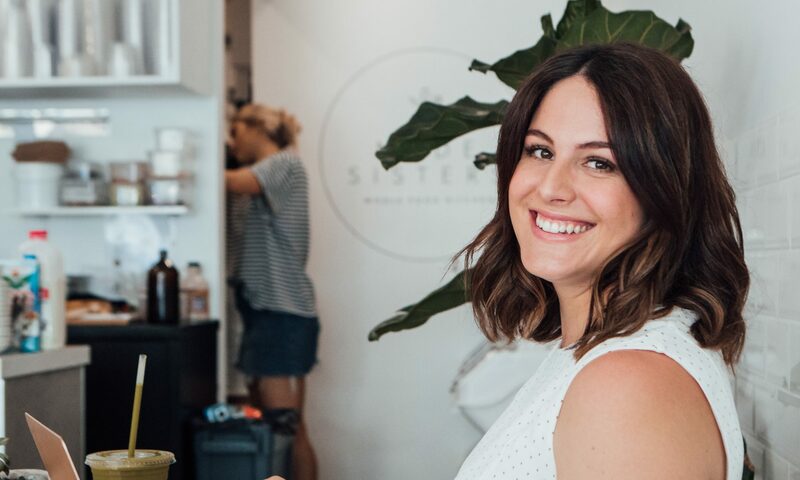 Just take a look at the likes of Mailchimp, Go-To Skincare, Disney or Vinomofo – and you’ll see why it’s no surprise that they’re all killing it in their respective fields. They’ve all got very different voices, but strong ones nonetheless. So why should you prioritise this part of your marketing? Well, for starters it builds trust. And studies show that people buy from brands they trust and identify with. It instantly tells people who you are and what you stand for. It’s the identifier that sets you apart from your nearest competitor and is often the reason why people will choose you over the next guy. You can use your tone of voice to influence the purchasing decision or persuade a customer to engage with (read: buy from) you. Overall: it’s about optimising the user experience. Delivering key messages. Consistent branding. And dare I say it? It’s about PERSONALITY. Sounding like an actual human being should be the goal. If you had a brick and mortar shop, you would be all up in there – or your staff would be – getting into the faces of your customers and giving them an epic experience. When I worked in retail many moons ago, I loved having a laugh with customers while they picked out a pair of Levis or tried on a dress. I got to physically be there, with my personality (and my thorough knowledge of denim) to close the sale. BUT. If you have a digital brand, you can’t be there in person to get all up in your customers’ grill. Which means that your website is your sales person. You don’t want to sound one way on a computer or mobile device and completely different on the phone to your customers, do you? How confusing would that be for them!? Reach them through the screen. Now I’m not going to get into a weird diatribe about twilight zone-esque things here, what I mean is that you’ve just gotta engage them with a consistent message in your user experience, copy, visuals and videos. And as a business owner, you probably know all of this like you know your business back-to-front. But the trouble is, you’re struggling to get what you want to say out of your head and onto the screen. It’s because of this, that you run the risk of being disconnected. But fear not: there is a solution. You just need a solid understanding of your brand voice, your customers and how to have a conversation with them… you know, like an actual human being. If your brand was a person, what would be its top 3 personality traits? How would your brand speak if it were a human (which, let’s face it – it is, because it’s an extension of you)? Set boundaries for your brand voice by using a spectrum – on one end you might have curiosity, whimsical and playful, and on the other you might have serious, problem solving and ‘no BS’. What does this all look like? Do you reckon you can start communicating in a way that’s real and comfortable for you and your customers? Does all of that just feel a little bit overwhelming? I completely understand, by the way. It’s a lot of work to do it properly. I’ve worked with Aussie and international brands for about 8 years developing tone of voice and communicating with customers in a very real, very human way. And I go into A LOT more detail than the questions I’ve listed above. My (Don’t) talk nerdy to me tone of voice guide is perfect for brands who want to get a headstart on developing key messages that resonate with their ideal customers, and help them attract more of the ones they want to work with. It’s all packaged up and delivered in a digital guide that you can share with your team or external suppliers – so that everyone can nail your brand’s unique tone of voice in whatever marketing you’re doing (especially handy if you outsource)! You’ll have a tangible reference point, you’ll know your audience and have readily available copy to draw from.